Teosyal® Pure Sense Deep Lines is usually recommended and used for facial treatments to eradicate deep wrinkles. However, it can be used on other parts of the body including the lips and the jaw line. Many people would only think of Teosyal Kiss as a suitable product for lip augmentation, but if you are having a couple of different treatments at the same time, the combination of using this product in various places could end up saving you a little bit of money and time. 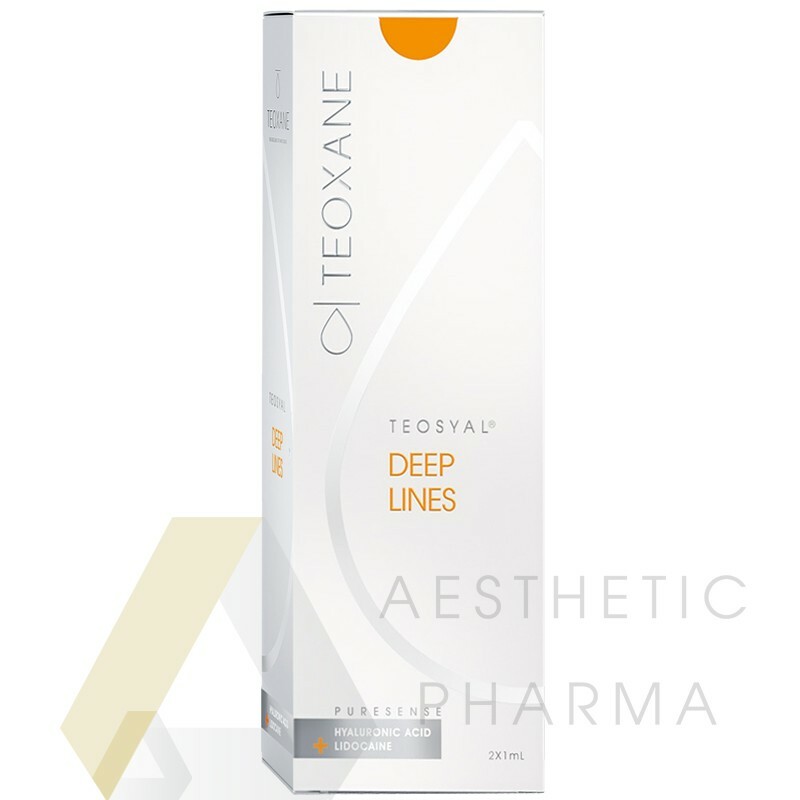 This product is injected deeper into the skin than its sister product Teosyal First Lines, right into the superficial layer below the skin. This combined with the fact that Deep Lines is a denser gel and generally more product is used in each treatment, means that Teosyal Deep Lines has an impressive average duration period. The average duration has been noted to be between six to nine months for this treatment. Generally only one initial treatment is required to achieve the desired effects, but in some case two treatments are necessary. This is dependent on the depth of the wrinkle and what you personally want to achieve out of the treatment, as well as your individual receptivity to the product. Like all of the Teosyal treatments, the natural Hyaluronic Acid used in the injections is eventually completely broken down in the skin after the stated duration period, so if you decide that Teosyal treatments are not for you, then after a few months you will be left with no trace of ever having it done. cheek and jawline face contour reshaping.